Yes. And we also advocate being proactive about the threat of storm damage. If you are worried that your property could be damaged in a storm, please contact us for an obligation-free storm damage assessment. (It is preferable to be proactive about completing difficult or hard-to-access jobs in the cooler months). BTE accepts Credit Cards, direct deposits, cash & cheques. Payment plans can be arranged at our discretion. 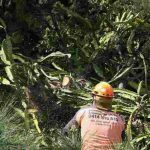 Are the staff of Brisbane Tree Experts fully qualified? Yes. Our highly trained staff are qualified up to a Diploma in Arboriculture. They are also trained in other relevant areas including Occupational Health Safety, Traffic Control, Chain Saw Certification, First Aid and Blue Card (commercial site). Are you a member of your relevant associations? Yes. We are a member of the Queensland Arboricultural Association Inc. We are also members of the Tree Contractors Association, Arboriculture Australia, and we are registered with Qbuild and Workers Compensation Queensland. We are also represented on the Queensland Arboricultural Association Inc. (QAA). Glenn Walton (manager of Brisbane Tree Experts) is the President of this association. Yes, but we are proudly claim-free. We would rather get the job done right the first time! I really don’t want my tree removal job going wrong. What do you do to minimise risk to my home or property when you remove a tree or do other tree services? We complete a comprehensive Risk Management Assessment. 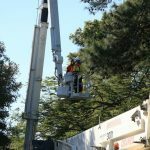 Can you give me a quote for tree maintenance or tree removal over the phone? In order to give you an accurate quote and expert advice, we need to physically examine the tree/s. 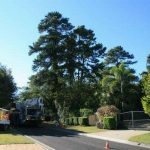 How much does it cost to get a tree removed or maintained by Brisbane Tree Experts? To get an affordable and accurate quote, please feel free to get in touch with us. Do I need to contact my local council for approval before commencing any form of tree removal or tree reduction? Yes. Where required, we can liaise with local councils regarding Vegetation Protection Orders (VPO) on your behalf. For advice regarding VPO’s, please contact us. Contact Brisbane Tree Experts today.